Memorial Day should be celebrated by telling the truth! Every year we supposedly honor the men who serve(d) in the military on the last Monday of May. Each year lies are intentionally dispensed in the media and in communities across the country. This propaganda madness has to stop! We owe the truth to all who have paid the price of the bankster’s wars in pain, suffering and even death. And, we also owe it to all of the young men who foolishly enlist thinking they will be “serving their country”! Since World War II, the United States has messed around, in ways big and small, in Korea, Vietnam, Laos, Cambodia, Cuba, the Dominican Republic, Afghanistan, Nicaragua, Guatemala, El Salvador, Lebanon, Grenada, Iraq, Panama, Colombia, Somalia, Bosnia, Kosovo, Haiti, Afghanistan again, and Iraq again. No country in the world can begin to match this record in the last half-century. And I’m not even listing here the covert operations (almost everywhere), including the ones that toppled democratically elected governments (Iran, Guatemala, Chile, etc. ), the long-term occupations of Latin American countries by the U.S. military, the gunboat diplomacy of the American Navy around the world, the aiding and abetting of other killers (Saddam invading Iran, for example, apartheid South Africa or the Israeli occupation of Palestine), the militarization of the oceans and of space, or the myriad other ways in which the United States leads the planet in aggressive tendencies. BECAUSE THEY DO NOT WORK FOR THE PEOPLE! 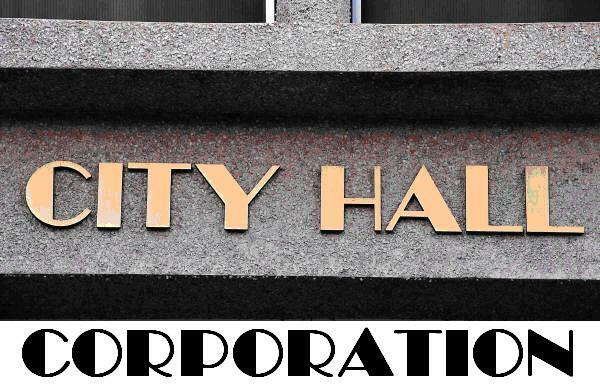 Most folks know that their city is incorporated. Even government employees do not deny this reality. However, most folks don’t know that their county and state governments are also corporations. In fact all government agencies are corporations as well. This is easy to verify by looking them up on Dun and Bradstreet.com. The employees of all of these government entities gloss over this fact however, claiming they have to be a corporation to do business. The problem is that they can’t generate profit for their own corporation and be public servants at the same time. Conflicts of interest become the norm, not the exception, and the people lose representation, which is exactly what has happened. Eventually the people figure out that they are being fleeced. The following demonstrates how government-corporations serve their own corporation first and foremost . . . at the expense of the general public. These government-corporations have essentially become parasites on the people they claim to serve. Comprehensive Annual Financial Report accounts are common with corporate-government entities. These somewhat hidden accounts are often referred to as rainy day funds. The public has no control over the size of these funds or the way they can be used. Meanwhile many corporate-governments continue to pass their own ‘rules’ (statutes) and tax levies to increase their revenue stream. In most instances the corporate-government determines how much its employees are paid. They can also decide to create new jobs for their own institutions. As with all corporations, government corporations have adopted the “growth” paradigm. When cities pass statutes (rules) that levy fees and fines, the general public is coerced into paying more for services they never requested. And, most municipal corporate charters do not include a limit on the number of new rules that can be created. These new rules don’t necessarily serve the best interests of the community. This rule making power encourages corruption as well. Rules and policies are established all of the time that benefit large corporations over small locally owned businesses.